LAS VEGAS – The man-vs.-beast combat of freestyle bullfighting has a new twist during this week’s Bullfighters Only Las Vegas Championship. The tournament-style format will feature head-to-head matches Wednesday and Thursday during the competition set for 1:30 p.m. at the Hard Rock Hotel & Casino. There are four additional performances Friday and Saturday. Tickets are on sale now at HardRockHotel.com and AXS.com. “You don’t know what to expect,” said Weston Rutkowski, the No. 1 bullfighter in the BFO from Haskell, Texas. “It’s a head-to-head match, and you just have to beat one guy. With that being said, it doesn’t change how you go about your bullfight. I’m fighting against my animal, and I still have to do better than my animal. Just like March madness, the BFO Las Vegas Championship has a survive-and-advance feel to it, only survival means many things in freestyle bullfighting. Men must tempt danger in their bouts with agile and athletic bulls that have been bred for these kinds of fights. “It’s going to be electric in there,” said Nathan Harp of Tuttle, Okla. “It’s going to be a heck of a production, and the bullfights are going to be awesome. Everybody wants to get to the final day, and they want to advance in the first round. Harp will go head-to-head vs. Kyle Lippincott. The other match-ups are Wayne Ratley vs. Tate Rhoads, Daryl Thiessen vs. Zach Call and Rutkowski vs. Aaron Remmer. Ratley, Harp, Call and Rutkowski earned top seeds from their performances in the BFO Roughy Cup, while the other four advanced to the tournament through the Pendleton Whisky Qualifier Round – both events took place last week at the Las Vegas Convention Center. Whether they are first or second in their match, the men understand the factors in play as they fight their bulls. Those that are first must set the tone with strong bouts; the second bullfighter will have a score to beat, and that could mean taking more chances to get more points. During his first-round set in last week’s Roughy Cup, Harp had already seen Ratley post an 89-point score; Harp finished his fight with an 89.5 to advance to the final round. 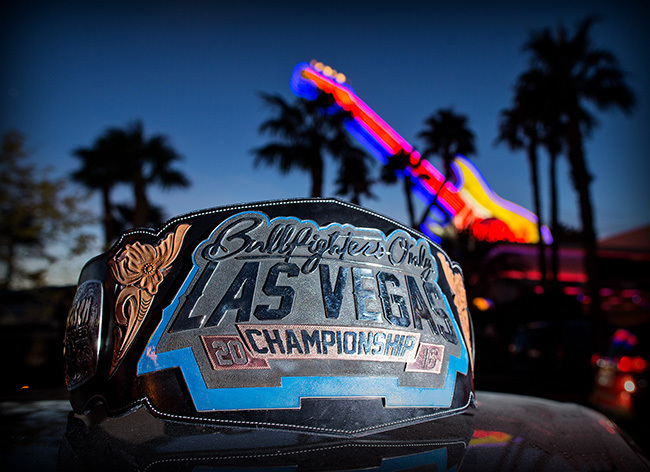 No matter the format, the bullfighters know they’ll be tangling with the best animals in the business over the course of the BFO Las Vegas Championship. That adds to the flavor of the competition and allows for amazing energy; it’s also a dangerous setting for true athleticism.